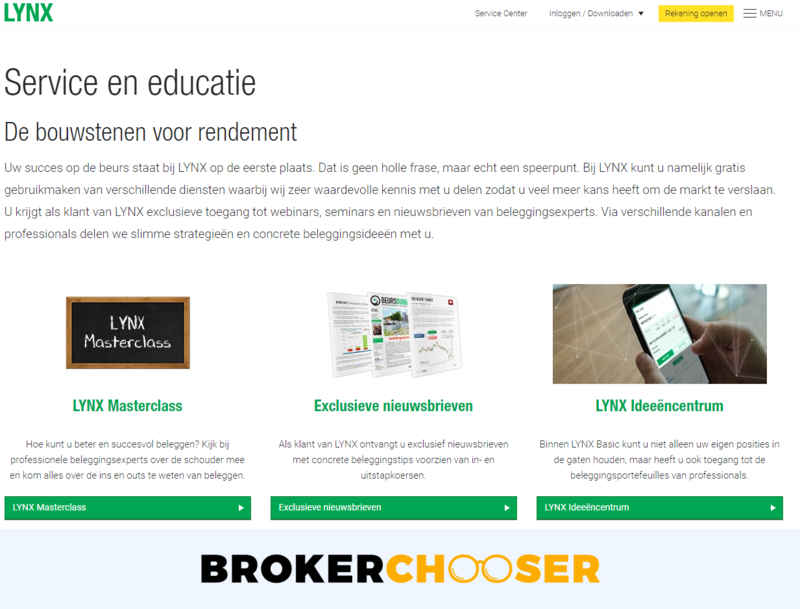 LYNX a Netherlands-based stockbroker founded in 2006. LYNX is also an introducing broker of Interactive Brokers. 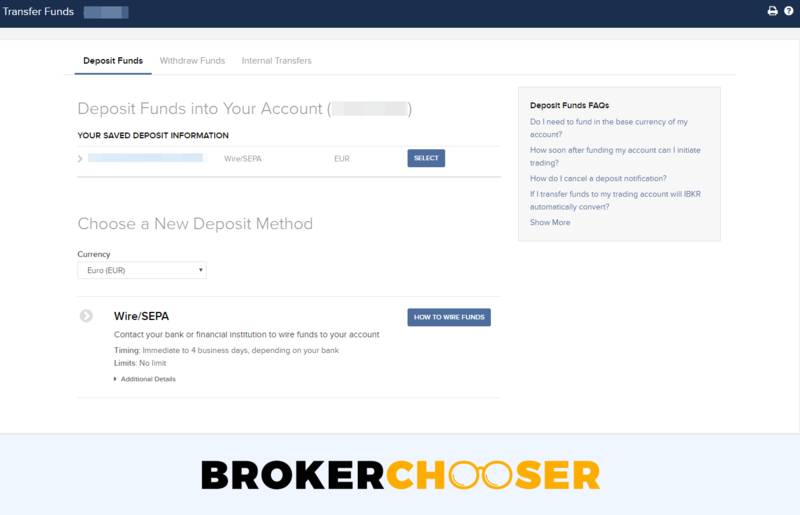 This practically means that your deposited funds will be held at Interactive Brokers' accounts. You can also use IB's trading platforms. However, the fees are charged by LYNX and other services, like account opening, markets and products, customer service and education are also provided by LYNX. LYNX is considered safe because both LYNX and Interactive Brokers are regulated by top-tier regulators. LYNX has low trading fees and well-developed research tools. Its offered markets and products range is great, providing access to the important international and also to some local European exchanges. LYNX deposit and withdrawal should be improved. It is not user-friendly and you can use only bank transfer. There is a €3,000 minimum deposit and it charges a high, €5 per month inactivity fee. LYNX has low trading and average non-trading fees. We compare LYNX fees with its peers, DEGIRO and Saxo Bank. We analyzed the fees of LYNX Netherlands but the pricing can vary a bit from country to country. LYNX trading fees are low for all asset classes except for options and futures. LYNX in general has low stock trading fees. It is low for US and German markets, but quite high for the UK market. LYNX charges a volume-based commission on stock and ETF trading. This can be per share or percentage based. LYNX forex fees are low. It is much lower than at Saxo Bank. DEGIRO does not offer forex. The forex fees is €4 per one lot. A lot is 100,000 unit of the respective currency, for example, €100,000 for EURUSD trading. European fund fees are low at LYNX. It can even compete with the fees of a discount broker, like DEGIRO. Fund fees are calculated as 0.1% of the trade value and there is a minimum of €6 and a maximum of €45. LYNX has low bond fees. It is much cheaper than Saxo and a bit higher than DEGIRO. LYNX has quite high options fees, higher than at DEGIRO, but not as high as at Saxo Bank. LYNX charges a commission for each option contract you trade. For example, this is $2.4 per contract for the US stock index options. The futures fees are average. Similarly to the options fees, the futures fees are volume-based. For example, $3.5 per contract is charged for the US stock index futures. LYNX has low CFD trading fees. We compared the commissions of stock CFDs. At LYNX you can buy cryptos only through ETNs (exchange-traded notes). At the time of our LYNX review, you can trade with Bitcoin and Ether ETNs on the Stockholm Stock Exchange. LYNX trading cost here is 0.15% of the trade value or minimum SEK 40. If you want to understand what is a crypto ETN check out our crypto blogpost. LYNX's financing rates are average. Financing rates are charged when you hold your leveraged positions for more than a day. It can be a significant proportion of your trading costs. LYNX charges a 3-3.5% premium over the benchmark rate. For example, the pricing for the Apple CFD is 3.5% + USD LIBOR overnight rate. LYNX has average non-trading fees. It has no account fee and it provides one free withdrawal per month. However, there is a €5 monthly inactivity fee if you don't generate at least €5 commission per month. LYNX calls this a platform fee. LYNX's account opening is fully digital and user-friendly. However, there is a €3,000 minimum deposit. It is not transparent from which countries you can open an account. We believe from most European countries it is possible to open an account. LYNX has a €3,000 minimum deposit. It is one of the highest on the market. The account opening is seamless, fast, and fully digital. Your account will be ready for trading in 2-3 business days. Provide your personal and financial information. Provide your trading experience and fill out a test on your financial knowledge. Verify your identification and residency. You can upload national ID, passport, or driver's license for verifying your ID. Utility bill and bank statements are accepted for residency verification. You can fund your account in many base currencies and there is also one free withdrawal per month. However, you can transfer money only in bank transfer and the process is not user-friendly. 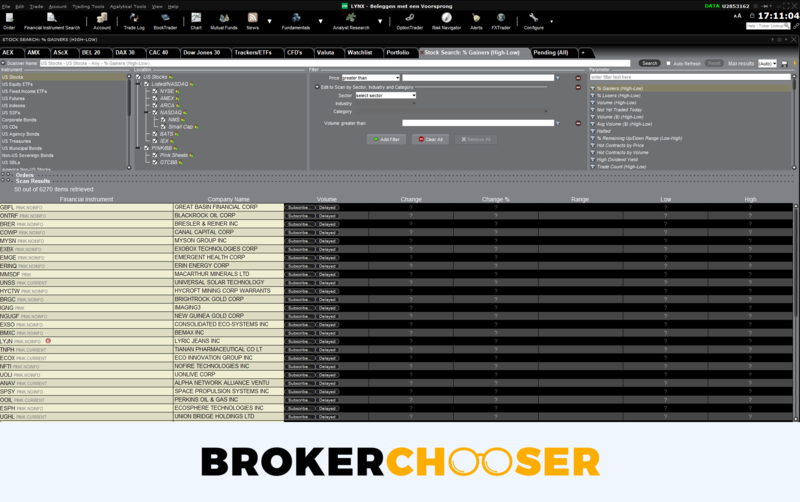 LYNX offers its deposit and withdrawal through Interactive Brokers' tool being its introducing broker. At LYNX, you can have your account in 21 base currencies. This is pretty good as DEGIRO has 9 and Saxo Bank has 32 base currencies. Why does this matter? Two things. First, if you fund your account in the same currency as your bank account, currency conversion fees won't be charged. Second, if you trade assets in the same currency as your account base currency, you will not have to pay a conversion fee. LYNX deposit fees are free of charge. However, deposit options are limited, as you can use only bank transfer. The process is not user-friendly. 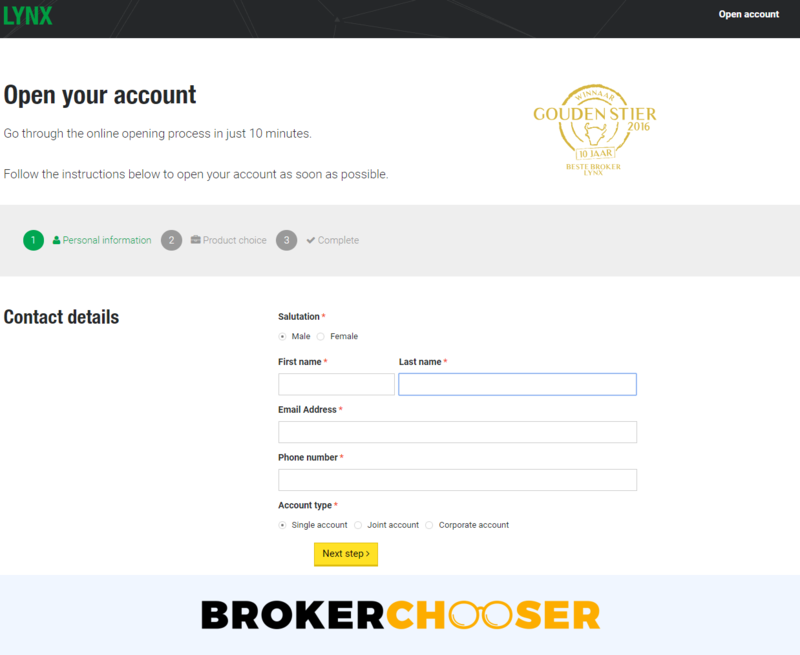 First, you have to submit a request at Account Management on the broker side. Next, you have to initiate the transaction through your bank. It would be better if the whole process was integrated into the LYNX deposit service. You can only deposit money from a bank account on your name. One withdrawal per month is free. LYNX charges a withdrawal fee for additional withdrawals. The withdrawal fee depends on the currency, but it is generally around ~$10 per withdrawal. Similarly to deposit, you can use only bank transfer. LYNX notes that if you withdraw before the daily cut-off time, the money is sent instantly. Then it is up to your bank when it arrives. We tested it and received money back in 2 business days. You can only withdraw money to bank accounts on your name. The LYNX web trading platform is simple and easy to use. You can execute your order via several order types. On the negative side, it lacks the two-step login, customizability, and price alerts. LYNX offers two web trading platforms: LYNX Basic and Account Management. LYNX Basic is LYNX's own web trading platform, while Account Management is provided by Interactive Brokers. For transferring money and managing your account, you can only use the Account Management platform. In this review, we tested LYNX Basic. 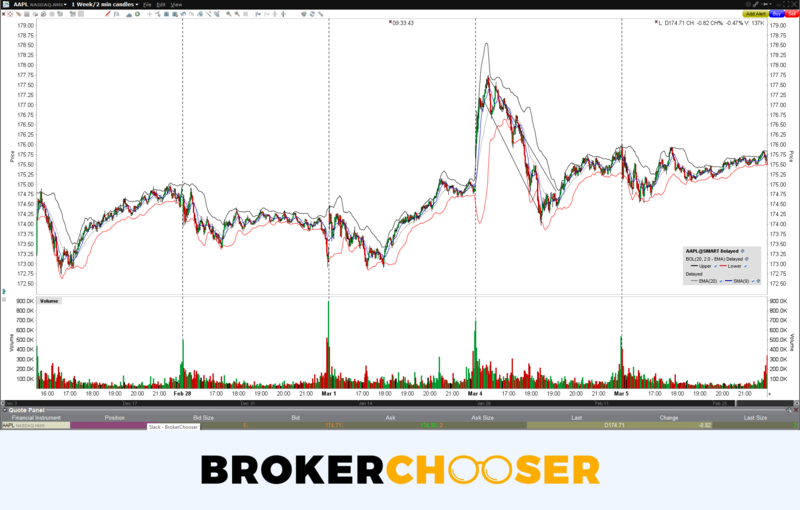 If you are interested in Account Management, you can read more about it in the Interactive Brokers review. LYNX Basic is available in English, Dutch, German, French, Czech, Finnish, Polish. LYNX web trading platform is great for execution, but not the most advanced. It is well designed and user-friendly but lacks customization. LYNX provides only a one-step login. A two-step login would be more secure. The search functions are OK. You can search easily, but not the most relevant results are on the top. E.g. 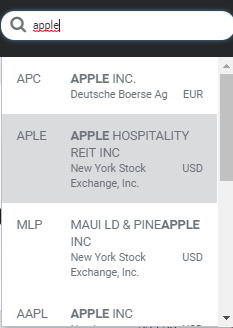 if you search for Apple, the German stock exchange appears first and not the US NASDAQ. If you are not familiar with these order types, you should read this overview. You cannot set up price alerts and get notifications after your order was executed. We felt this strange as there is a bell pictogram on the platform which usually indicates that price alerts are available. LYNX provides a clear portfolio report, but does not have a fee report. Within the portfolio report you can easily check your profit-loss, liquidation, etc. The missing fee report seriously decreases the transparency of the fee calculation. 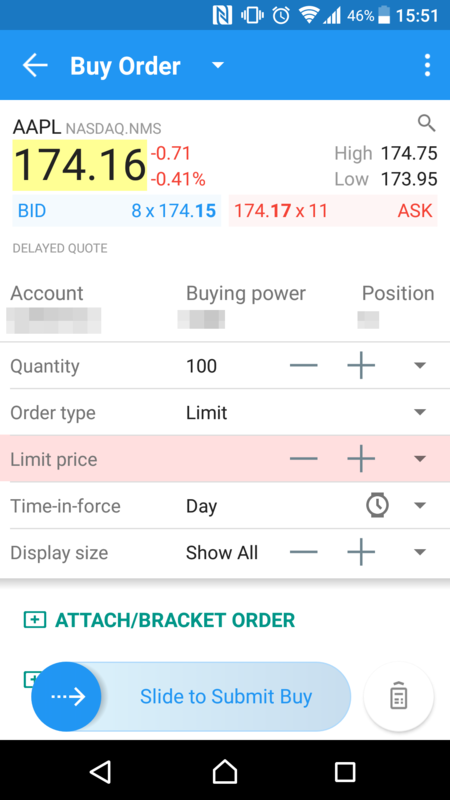 LYNX has a great mobile trading platform, provided by Interactive Brokers. It has lots of functions, even a chatbot. On the other side, user-friendliness could be improved. LYNX mobile trading platform is available both for IoS and Android. In this review, we tested on Android. The mobile trading platform is available in English, German, Spanish, French, Italian, Russian, Dutch, Turkish, Chinese, Japanese. 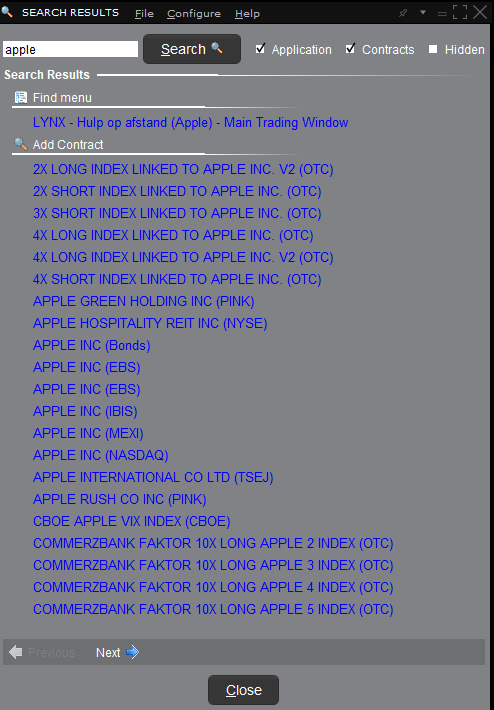 LYNX mobile trading platform's user-friendliness is not the best. The search functions work well. After finding the asset you are looking for, you can choose from its various asset types. 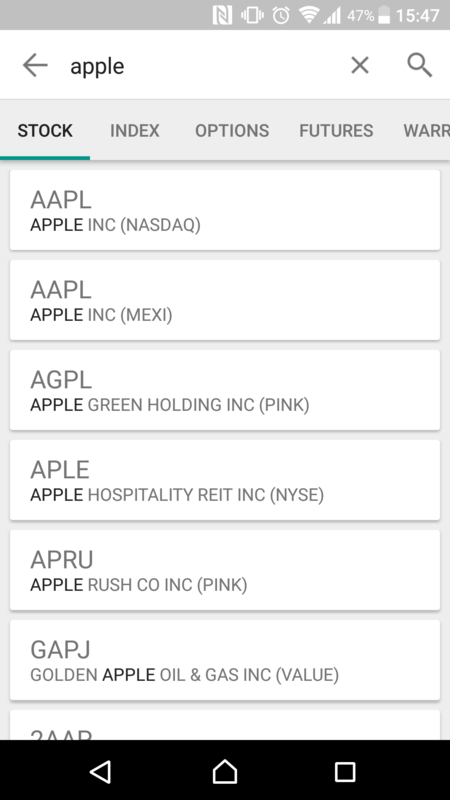 For example, if you search for Apple, you can choose between Apple stock, futures, options, warrants and CFDs. 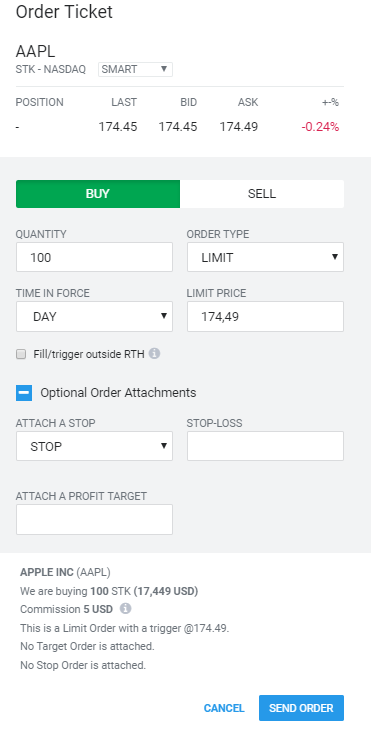 On the LYNX mobile trading platform, you can set up price alerts and get notifications after your trade was executed. The most innovative and exciting function within the app is the chatbot. You can use the chatbot for basic functions. For example, you can execute an order or close a position very quickly. 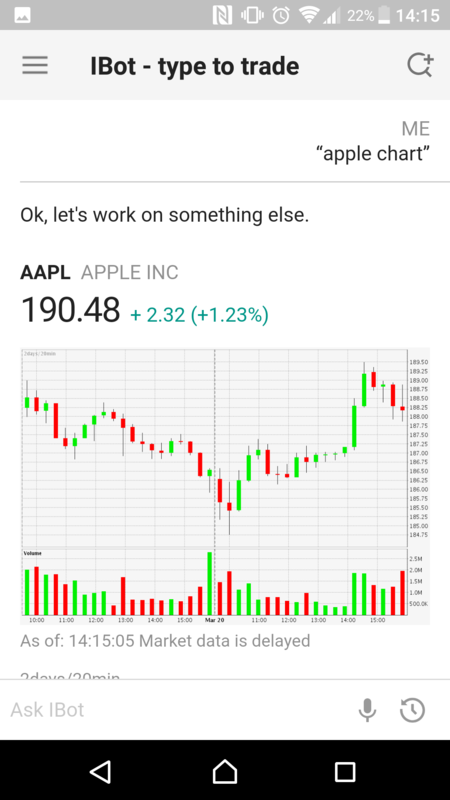 The chatbot understands the basic commands, like “apple price” or “buy 1 apple share." On top of this, you can also search for company fundamentals, like dividend yields or P/E ratios. Some of the functions like the chart are also available within the chatbot. LYNX offers a desktop trading platform with advanced features, many customizable options, and advanced execution functions. However, the platform is not user-friendly and only suited for advanced traders. 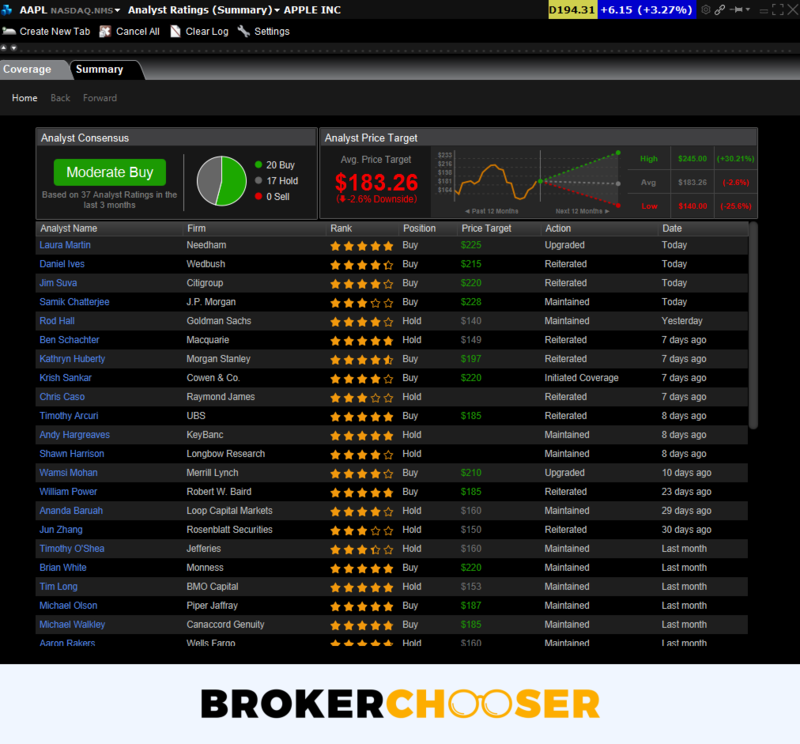 LYNX desktop platform is powered by Interactive Brokers. It is so advanced and has so many functions that even a separate review would not be able to cover it all. In the desktop trading platform, you have literally everything you could desire. Were you dreaming of replicating your favorite ETF? Wondered whether it is possible to trade via chatbots? Yep, with LYNX desktop trading platform, you can do them. It is available in English, German, French, Spanish, Italian, Dutch, Chinese, Japanese. 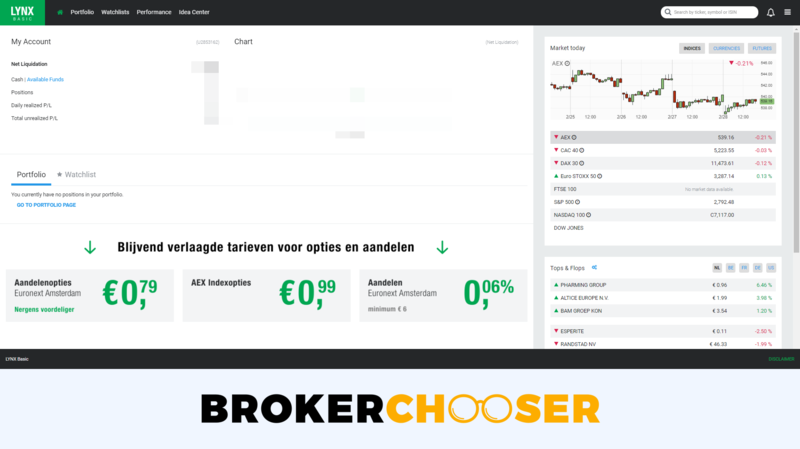 It was confusing for us that some features, like the profit/loss balance, are in Dutch. LYNX desktop trading platform is not user-friendly and it is very complicated. If you are an advanced and professional user, the platform is ideal. However, if you start trading now or you prefer long-term investments, you can hardly take advantage of all its features. The search function is not the best. Search results are not structured and it is quite difficult to filter out the noise. 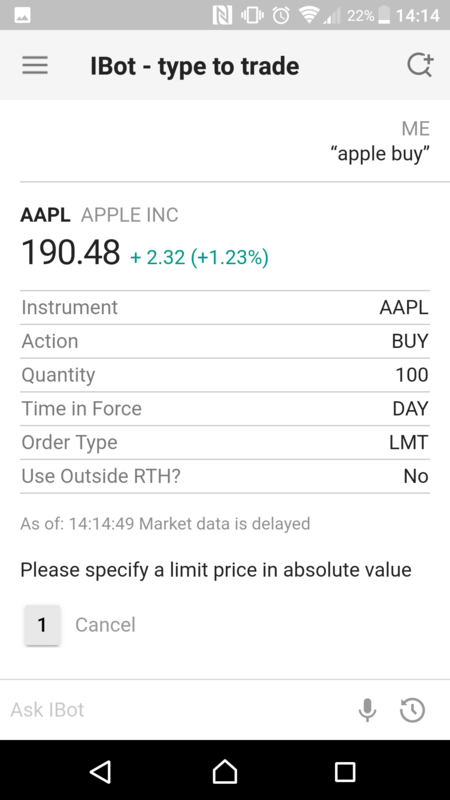 For example, if you search for Apple, the structured and derivative products are presented first and the real stock is presented in the middle of the list. 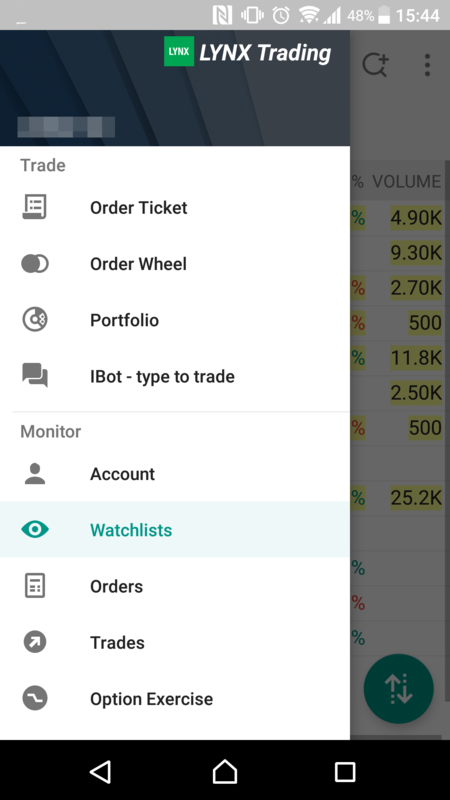 Price alerts and order notifications can be set up at the configuration panel. You can select from email, SMS, or push notifications. 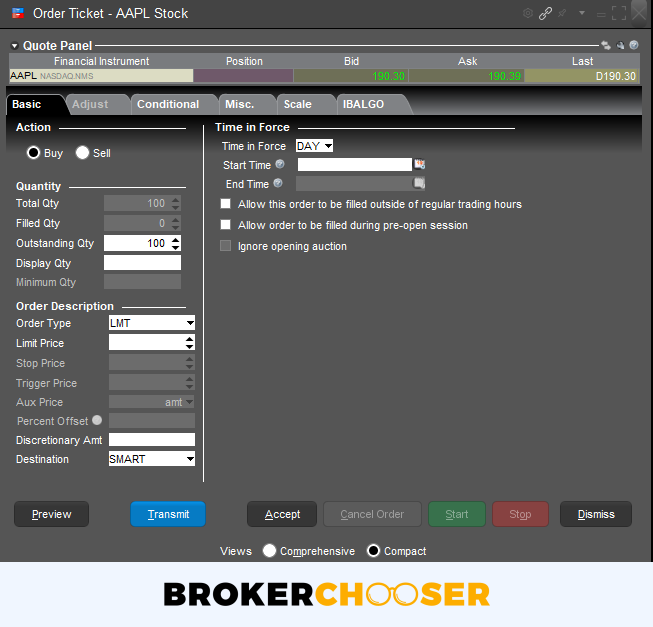 Furthermore, you can select if you want to get alerts about your daily profit or loss, trade execution, etc. Reporting at the LYNX desktop trading platform is very transparent. At LYNX you can trade with all the asset classes and reach many markets. LYNX has a good product portfolio. From stocks to CFDs, you will find everything. At stocks, forex, options, and futures LYNX are really competitive. The bond and CFD product range is average, while the fund selection is not competitive. The LYNX stock and ETF selection is great. It is comparable with DEGIRO's and Saxo Bank's offers. The available stock markets include the largest international and the smaller stock exchanges in Europe, like the Hungarian stock exchange. You can trade with penny stocks as well. LYNX offers a wide range of currency pairs for trading. More than many competitor brokers, but not as much as Saxo. DEGIRO does not provide forex trading. LYNX offers a limited range of funds. You can trade with funds listed on Eurnext. There is no information on how many bonds are available for trading. We checked a couple of bonds on the trading platform and you can trade with the government bonds of big developed countries, like Germany or the USA, but cannot trade with the bonds of smaller countries. LYNX has great options coverage. You will get access to exchanges all over the world. Similarly to the options, the futures offer is wide, providing more markets than DEGIRO and Saxo Bank. CFDs are complex instruments and come with a high risk of losing money rapidly due to leverage. 62% of retail investor accounts lose money when trading with this provider. You should consider whether you understand how CFDs work and whether you can afford to take the high risk of losing your money. At LYNX you can trade only with stock and stock index CFDs. The number of CFDs offered is similar to DEGIRO, but limited in comparison to Saxo Bank. You can invest in Bitcoins and Ether through ETN instruments traded on the Swedish stock exchange. If you want to know more about crypto investing, we recommend our crypto blogpost. LYNX research has endless possibilities. From an advanced charting to great fundamental data, you will find almost everything. On the flip side, it is not user-friendly. The research tools are available through the LYNX desktop trading platform. The analyst recommendations can be found under the "Analyst Ratings" function. The analysts are from the biggest investment banks of Wall Street. LYNX provides a broad selection of fundamental data. Just to mention a few of them, you can check the financial statements for 6 years retrospective, you have a dividend calendar and also can list the peer group companies. The charting features are almost endless at LYNX. There are more than 100 technical indicators, but just like the desktop trading platform, the charting tool is not user-friendly. The news feed is OK. It is provided by top-tier third-parties, like Reuters, but has a bad design which makes the news hardly readable. The Market Scanner is a market screener where you can filter the different assets. For example, you can filter stocks by sector, price, volume, etc. You can use this tool for other asset classes as well, like bonds, futures, CFDs. There are a lot of other research tools as well. Feel free to ckeck them on the platform. LYNX has a OK level of customer support. It is great that you can also contact them in local languages, like Polish or Slovakian. On the other hand, you do not get relevant answers from either the telephone or email support. LYNX live chat is available on these local websites: Austria, Belgium, Czech Republic, Finland, Germany, the Netherlands, Slovakia, and Switzerland. We tested the Dutch live chat. They could speak in English and gave fully relevant answers. LYNX phone support was not the best. They answered within a minute, but the answers we got were not helpful. The email support is OK as well. We got answers within one day, however, these were not relevant as contained only links to the website. It also happened that LYNX wanted to contact us by phone instead of answering our email question. The customer service is available from Monday to Friday, between 8:00 to 22:00 GMT+1 timezone. We missed the 24/7 availability. LYNX education is mid-range. You can have a demo account for the desktop trading platform, but the educational videos are only in local languages. LYNX offers a demo account, but only on the desktop trading platform. It would be great if you could use a demo account for the web trading platform as well. There are also webinars and some quality educational articles. These are available only in some languages, like German or Dutch. LYNX offers no educational or platform tutorial videos. LYNX is the introducing broker of Interactive Brokers. Both LYNX and Interactive Brokers are regulated by top tier regulators. LYNX also provides negative balance protection. On the other hand, you can access only limited financial information about the company. 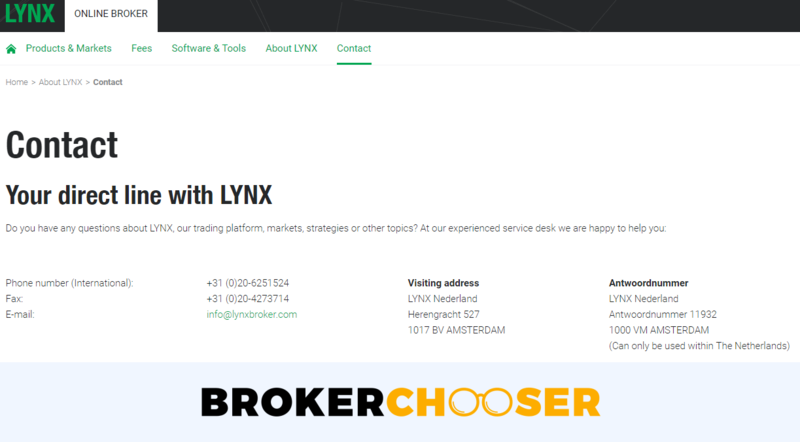 LYNX is a Netherlands-based broker established in 2006. Is LYNX safe? To be certain, it is best to check two things: how you are protected if something goes wrong and what the background of the broker is. 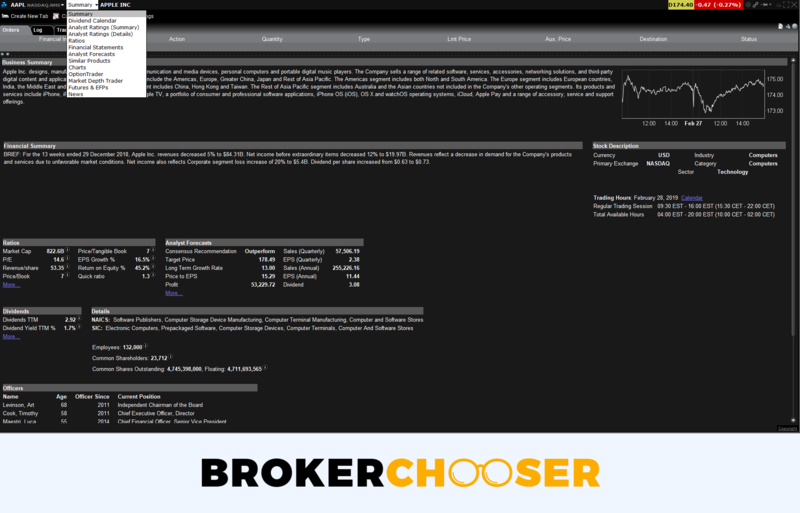 LYNX is an introducing broker of Interactive Brokers. This means Interactive Brokers will hold your assets. If LYNX defaults, your assets still would be with Interactive Brokers. If you trade with forex, CFDs, non-US stock index options, and futures, you are protected by the FCA's £50,000 of investor protection scheme. LYNX also provides negative balance protection. 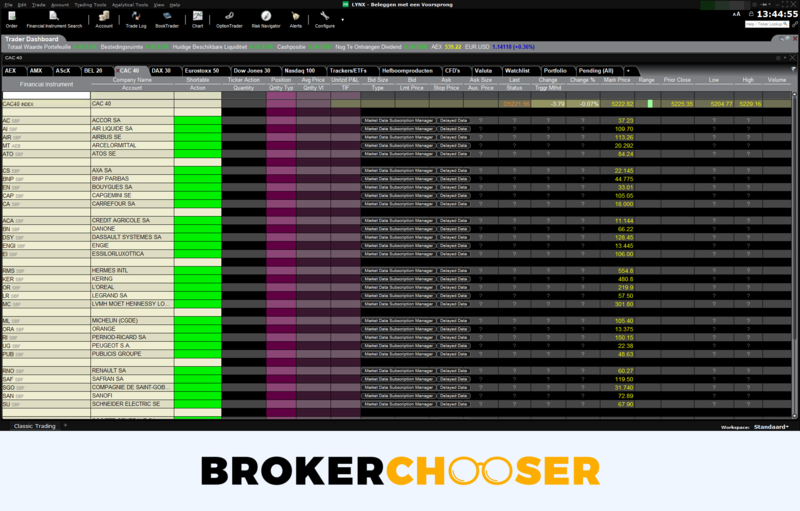 Interactive Brokers will be holding your funds, so we have to check its background. Interactive Brokers' foundation dates back to 1978. During this more than 40 years, a lot of economic crisis occurred and IB is still on the top among the brokers. This is also a sign for you that Interactive Brokers is a safe broker. It is listed on the New York Stock Exchange which increases the transparency as it has to publish financial statements regularly. Being regulated by top-tier regulators and being an introducing broker for a strong company are all great signs for LYNX's safety. LYNX has low trading fees, great research tools, and offers a wide range of markets and products. On the other hand, the deposit and withdrawal are not user-friendly and you can use only bank transfer. There is also a €3,000 minimum deposit and a high inactivity fee. Feel free to try LYNX if you are a European client and prefer low trading fees, great research tools, and local customer support.